Talking Points: Does This Mean That Liverpool Are Back To Form? Liverpool have thrashed Porto in the first leg of round of 16 of UEFA Champions League with a margin of 5-0 at the home of Porto. It seems that the Reds have already qualified for the quarter final of the biggest event of Europe. Jurgen Klopp will be immensely happy with the performance of his boys against a top European side. The Reds are already out of the contention of FA Cup and Carabao Cup and now their focus will be only in the Premier League and in this biggest event of Europe- UEFA Champions League. The chance of winning a silverware at the end of the season is only possible in the Champions League for the Reds. 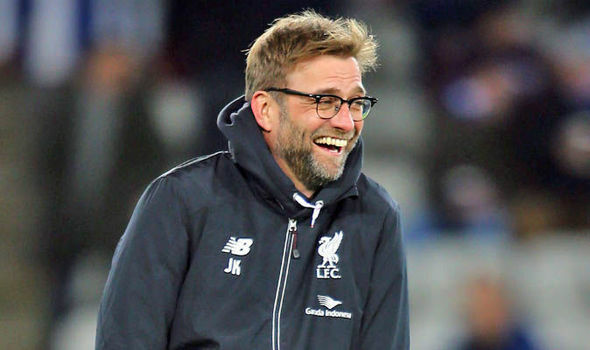 So Jurgen Klopp will be now more focused in the Champions League to be a strong contender to lift the trophy this season. First have a glance how the sides have shaped up for the big occasion. Jose Sa; Ricardo Pereira, Diego Reyes, Ivan Marcano, Alex Telles; Sergio Oliveira, Hector Herrera; Moussa Marega, Otavio, Yacine Brahimi; Tiquinho Soares. 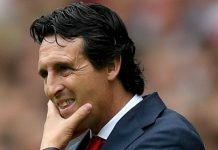 Loris Karius; Trent Alexander-Arnold, Dejan Lovren, Virgil van Dijk, Andrew Robertson; James Milner, Jordan Henderson, Georginio Wijnaldum; Mohamed Salah, Roberto Firmino, Sadio Mane. The Senegal International was not in his great form this season. He was the main man upfront for Liverpool in the previous season and helped Liverpool to earn the qualification in the UEFA Champions League this season. But in this season, he was not performing in that way. Mohammed Salah have taken away all the attention from him in this season. On the other hand, Mane was not getting his goal in the recent matches for the Reds. He was completely getting subsided and Klopp might have been thinking to bench him. But the player have proved his potential at the right time for the Reds. His hat-trick was phenomenal and it was needed for both the player and the Club. The Brazilian Striker Roberto Firmino commonly known as ‘Bobby’ found himself in the scoresheet and the Egyptian Superstar Mohammed Salah was also there in scoring party for Liverpool as always. After the end of the match, Jurgen Klopp said that Salah had scored a phenomenal Goal and if someone like Lionel Messi would have scored a same Goal the buzz would be more. The ball control of Salah is getting better with every passing day and the way he is developing his game he will soon be in the radar of the European top guns in the next summer transfer window. The Reds were able to keep the Clean sheet in the match after many days. Van Dijk and Matip were combining well in the central defense. Robertson and Trent Alexander Arnold were also superb in two sides. On the other hand, Karius had made some crucial saves too. Next articleFinal Transfer Update On This Manchester United Target, All Set To Move To Old Trafford This Summer?